Center bar antique brass finish buckle. Comes with snaps to take on and off your buckle. 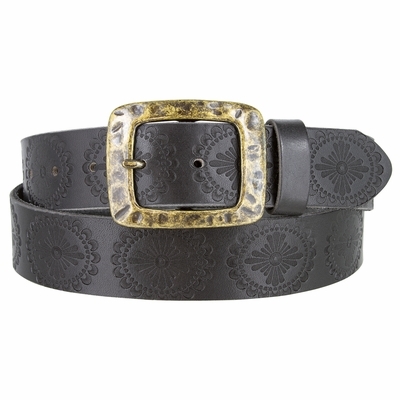 Flower embossed in the strap.